We are excited to announce that our pool has been fully renovated! Please feel free to contact the hotel at any time for more information. 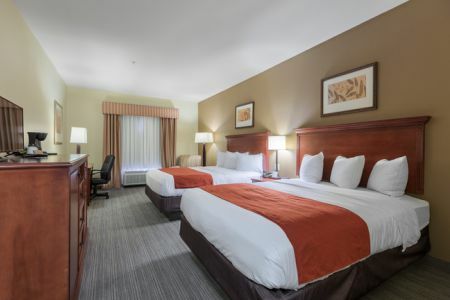 Situated off of I-35, the Country Inn & Suites® by Radisson, San Marcos, TX is the perfect home base for exploring Central Texas. 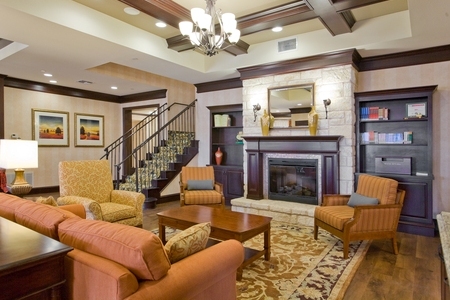 Our hotel’s convenient location puts you near great shopping at the Tanger and Premium Outlets, and you can easily reach antique stores and specialty shops in the Gruene Historic District. Kids love a day of thrills and spills at Schlitterbahn Waterpark or floating down the San Marcos River with an inner tube from Lions Club Tube Rental. In town to show your Bobcat pride? Texas State University is just a four-mile drive away. Need more room while traveling with the family? Choose a One-bedroom Suite, complete with the choice of one king or two queen beds, a spacious living area and a sleeper sofa. 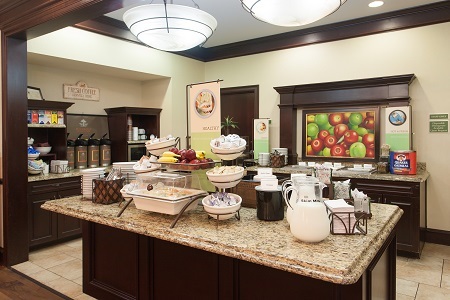 Bring your appetite to the hotel’s free, hot breakfast, serving biscuits, fresh fruit and a variety of other morning favorites. For lunch and dinner, try a nearby restaurant like The Root Cellar for an artisanal dining experience bursting with seasonal flavors. Sample a variety of microbrews that are produced on site and designed to pair with flavorful burgers, pastas and more. Tanger Outlets – Find your new favorite outfit or a pair of sleek sunglasses at Tanger Outlets, less than six miles from the hotel. You can browse hundreds of shops like Calvin Klein, Banana Republic and H&M in your quest for the best deals on high-end brands. Schlitterbahn Waterpark – Take to the water in a big way at Schlitterbahn Waterpark, one of the most popular water parks in the nation. Just a 20-minute drive down I-35, Schlitterbahn is home to the Master Blaster uphill water coaster, a memorable ride for its twists, spirals and roller coaster thrills. Wonder World Park – You’ll find a natural wonder of Texas about three miles from the hotel at Wonder World Park, where the passageways of Wonder Cave welcome underground exploration. Toss a coin into the cave’s wishing well before heading to the surface to experience the park’s mind-bending Anti-Gravity House. Host your next graduation celebration, birthday party or business conference for up to 40 guests in our flexible meeting room. Take advantage of free high-speed Internet access and audiovisual equipment to ensure your presentation is a success. Our staff can help you with all the details and create a personalized Web page to keep your guests informed. Contact the hotel to ask about our special packages for meetings and other events.